Colson Whitehead is the #1 New York Times bestselling author of The Underground Railroad, winner of the 2016 Pulitzer Prize in Fiction, the 2016 National Book Award, and named one of the Ten Best Books of the Year by the New York Times Book Review, as well as The Noble Hustle, Zone One, Sag Harbor, The Intuitionist, John Henry Days, Apex Hides the Hurt, and The Colossus of New York. He is also a Pulitzer Prize finalist and a recipient of the MacArthur and Guggenheim fellowships. He lives in New York City. 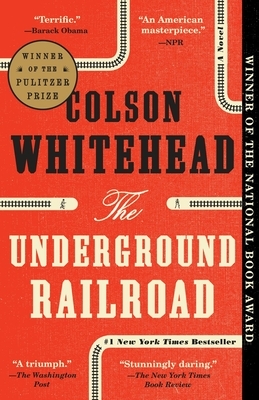 "With this novel, Colson Whitehead proves that he belongs on any short list of America's greatest authors--his talent and range are beyond impressive and impossible to ignore. The Underground Railroad is an American masterpiece, as much a searing document of a cruel history as a uniquely brilliant work of fiction."